To develop Systems Citizens in K-12 education who use systems thinking, system dynamics, and an active, learner-centered approach to meet the interconnected challenges that face them at personal, community, and global levels. 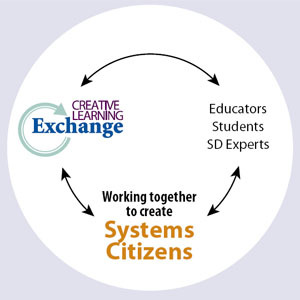 The Creative Learning Exchange was founded as a non-profit in 1991 by the progenitor of the field of System Dynamics, Jay W. Forrester, to encourage the development of systems citizens who use systems thinking and system dynamics to meet the interconnected challenges that face them at personal, community, and global levels. The Creative Learning Exchange encourages an active, learner-centered process of discovery for 3-19 year old students that engages in meaningful, real-world problem solving through the mastery of systems thinking and system dynamics modeling. The Creative Learning Exchange’s Board of Trustees includes George P. Richardson, Professor Emeritus, University at Albany and Brad Morrison from Brandeis University, two of the foremost system dynamicists in the world, as well as Davida Fox-Melanson, an educator who actively encourages systems thinking in K-12 schools. Lees Stuntz has been the Executive Director for the entire history of the CLE. Since its inception, the CLE has worked to encourage teachers and educators to use systems thinking and system dynamics in classrooms and schools throughout the United States as well as internationally. The CLE has done this through its website that offers free curriculum, its products that include books and games that promote systems thinking, and a biennial conference to help educators and students learn and utilize systems thinking and system dynamics in the classroom and the school organization. Lees founded the organization in 1993 under the direction of a Board of Trustees, including Jay Forrester, the founder of the field of system dynamics. Mrs. Stuntz gives workshops on systems thinking and system dynamics for educators as well as visiting schools to coach and lend her expertise to teachers and administrators. 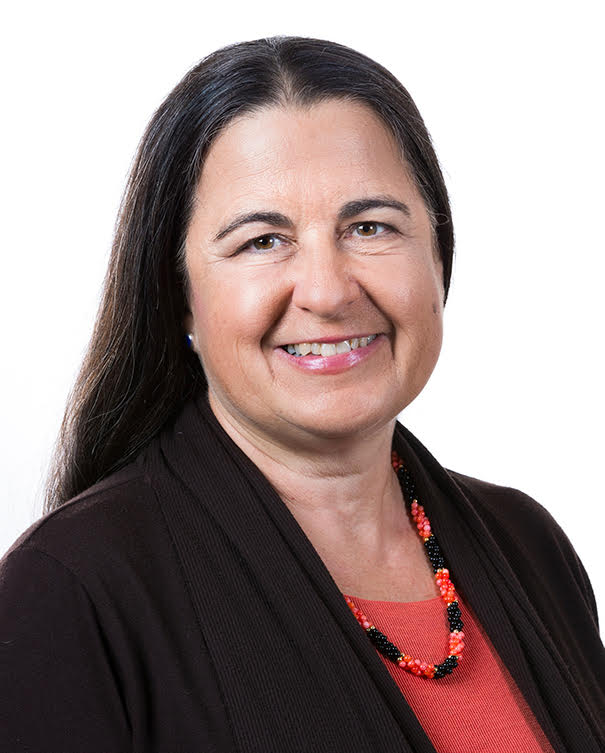 She maintains contacts with the system dynamics community and educators who are interested in utilizing systems thinking and system dynamics in their schools, both administratively and in the curriculum. She has co-authored several books available at the CLE, most recently she is a co-author on Model Mysteries: An Exploration of Vampires, Zombies, and Other Fantastic Scenarios to Make the World a Better Place. In addition to her work at the CLE, her volunteer activities have included serving on the local School Board and on the Board of Directors for a children’s discovery learning museum. She is passionate about expanding the use of systems thinking in K-12 education. Anne works with the Creative Learning Exchange as a curriculum designer and facilitator. She collaborates across educational and non-profit settings to increase understanding of dynamic, interdependent systems in ways that empower, engage, and motivate. She has co-authored several books with a goal of making system dynamics more accessible. These include Systems in Motion: Exploring Complexity through an Interdisciplinary Lens and Model Mysteries: An Exploration of Vampires, Zombies, and Other Fantastic Scenarios to Make the World a Better Place. Anne also coordinates school and community partnerships for CommunityShare and is an associate for the Waters Foundation. When she isn’t exploring dynamic systems as part of her work, you’ll find her digging in the garden, drawing mountains and valleys, hanging out with family, and enjoying their mini-farm inhabited by horses, pigs, a cow, chickens, turkeys and ducks. 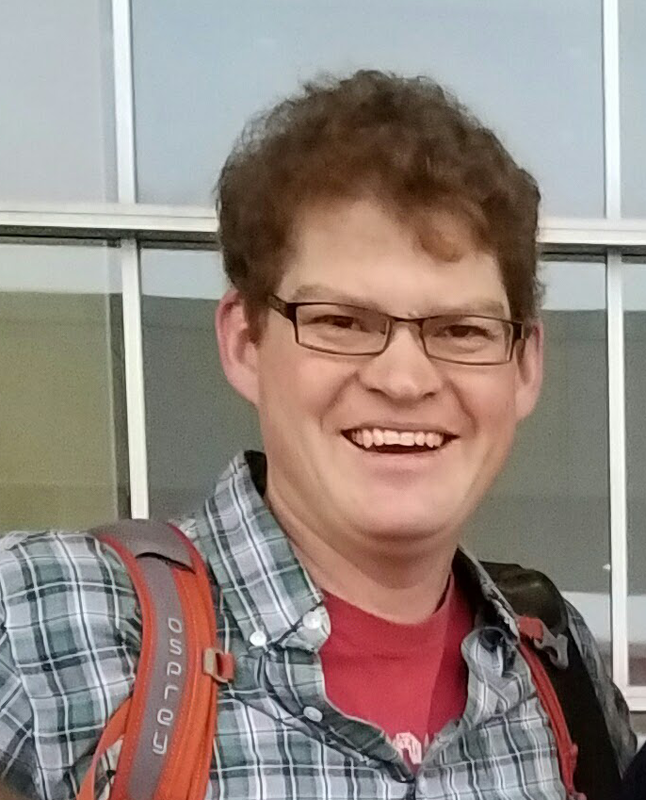 Conrad works with the Creative Learning Exchange as the web designer and coordinator. He manages the digital content provided to users via clexchange.org. He is also part of the team managing the CLE activity on social media, specifically - Facebook. When he is not working on the CLE site, he can be found teaching Psychology Labs at a local university or in his woodworking shop creating custom furniture and cabinetry.